Options are endless when you are modifying a truck, and some of the ideas are lift kits, big rims, large tires, nerf bars, etc. You cannot really go wrong, and whatever custom paint you select, it will look beautiful. 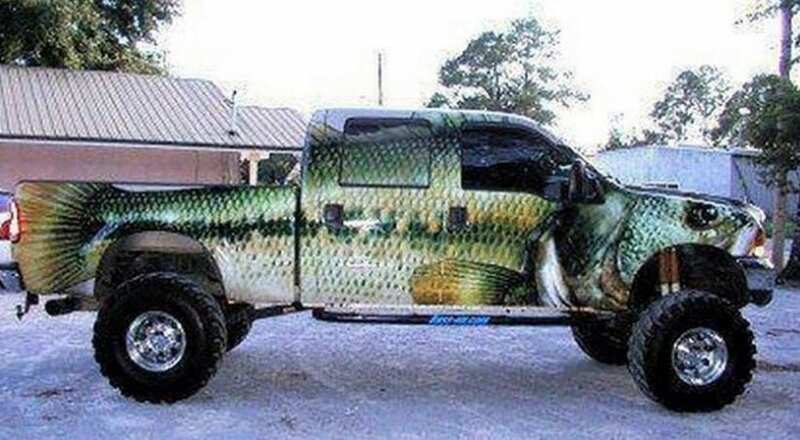 We take that back because this large Ford F-250 transformed to fish looks awful. Spending so much money, just to end up with this disastrous paint job is the worst option possible, but the owner is apparently happy with the outcome.